Meet Abreham Tesafaye and his mom. She may not look it but she is sick, awaiting her 2nd surgery for a uterine tumor since the birth of her son. And time is running out. Without a miraculous healing from the Lord, she is in dire need of this surgery that could save her life. Her doctor gives her 3 months before the tumor grows and surgery is necessary. But how will she pay for it when Abreham’s father walked out on them, neglecting his responsibilities as a father and provider? 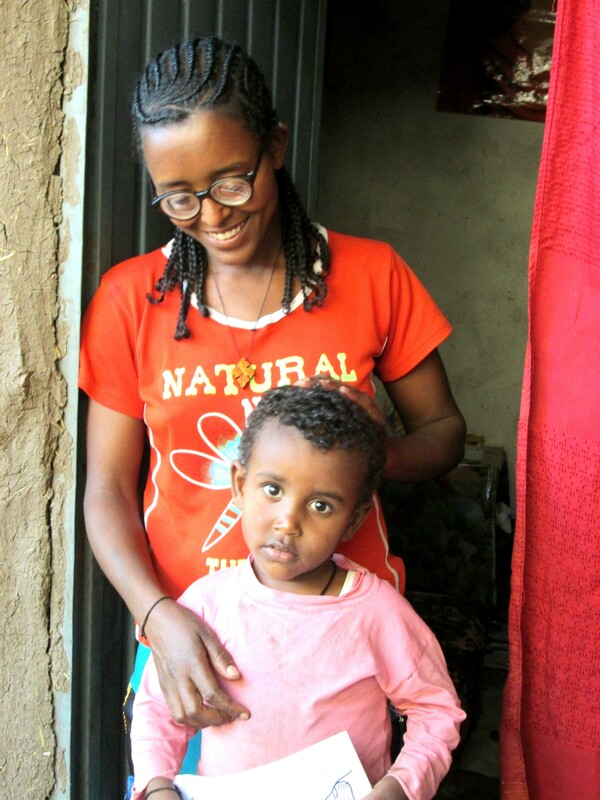 Her income of 100 birr ($5) per month that she gets from washing clothes does not even make them enough to cover their rent at the small place they have, which is 400 birr ($20). They are already terribly far behind on rent but the landlord has been gracious with them even though he is struggling himself. The landlord’s child, who is just old enough walk, shows signs of malnutrition and his horse is covered in sores. Despite his own difficulties this landlord has been considerate in allowing Abreham and his mother to stay but he cannot continue for much longer. During this very trying and life threatening time you would think her thoughts would be of herself but her thoughts are on her son. Who will take care of him should she not get this surgery? Family is far away; they are unavailable. 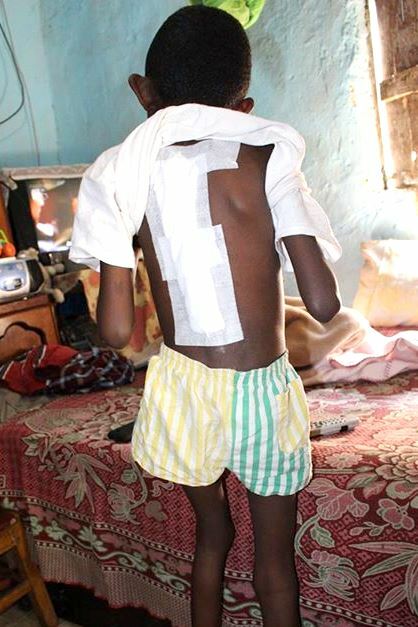 Will he become another orphan, another photo, another child in Ethiopia that has fallen through the cracks? We hope and pray for God’s provision for this family. Abreham is new to the BCI program and is in need of sponsorship so he can begin receiving support: food, clothing, education and a growing knowledge of God’s hope for his future. As the family comes from the Orthodox faith (believers in Mary and a priest) and are not yet believers in Jesus Christ, we have a wonderful opportunity to not only minister to their physical needs but to share the love of Jesus with them. 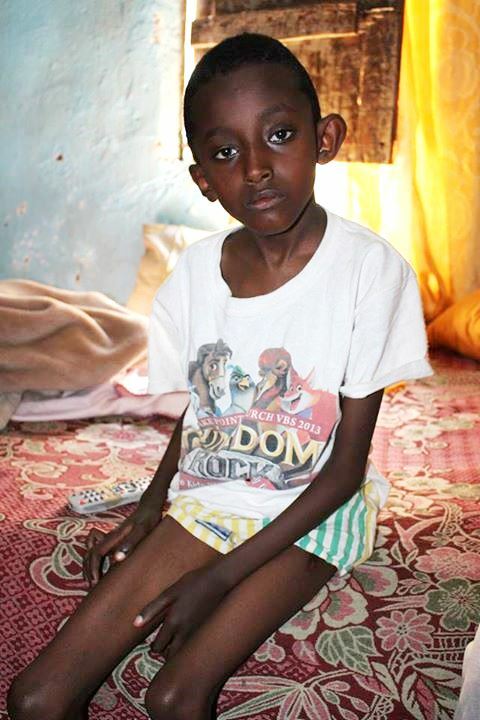 Are you willing to change Abreham’s life through sponsorship or a donation toward his mom’s surgery? A full $90/mo sponsorship is needed for Abreham but it can be broken down into three $30/mo sponsorships. 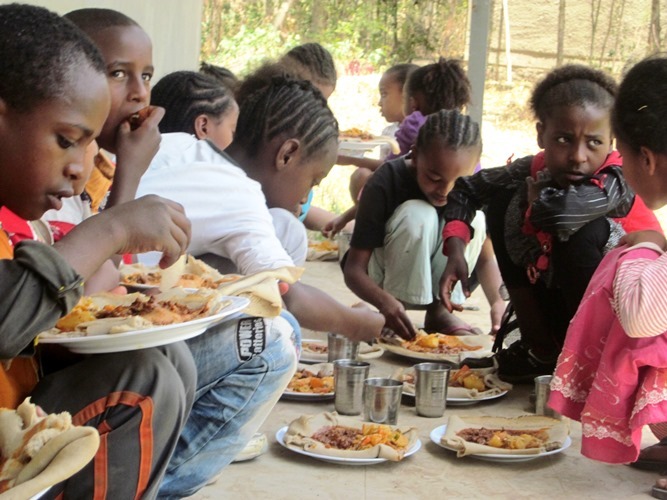 Once a sponsor is found, Abreham can start receiving grain support and start attending school at the BCI Academy! Blessing the Children allows (and encourages!) sponsors to write and send packages to their children as well as visit! Please contact us to set up your sponsorship or make a donation today! I was unsure of what this home visit would bring as I went to this young boy’s home. I had heard many things about him and I understood that this boy was in a back brace and he had a degenerative disease called “Dissimulated Tuberculosis”. I wasn’t sure what I would find. We walked into the home of what I would consider to be a wealthier family here; don’t get me wrong they have a refrigerator and a TV. I walked into the second room and on the bed lay a young boy who’s tiny wrist I could wrap my thumb and little finger around 1 ½ times. My heart sank to the bottom of my chest as I realized that this boy is not very strong and I could snap his arm like a twig. I began to pass immediate judgment on the boy as I quickly scanned him. He is lying on his bed watching TV to pass the time. As I talk with the social worker and his mom I begin to see arrogance in my ways. His mother’s English is very good and she would love to work at the school but instead she chooses to stay home and take care of her young boy who needs her. The dad is working construction but this work is inconsistent. The toll of medical bills has been paid by the family since Oholiab was born. He has had many surgeries to try and correct his problems but nothing seems to work. He had surgery again just last week to have a surgical plate put in due to his growth. He is missing school as he stays home to recover. The family is very grateful for the doctor that came from Ghana to do the surgery at the American hospital in Addis Ababa. As I talk to this young boy he chooses to speak to me in English, not in his native language of Amharic. His English is very accomplished and I realize how sharp he is. He enjoys reading books, playing computer games and wishes he could run with the other children. His great desire is to discover the cure for Ebola and then go to the sun. Oholiab has endless potential in his life, not only because he is smart and teachable but because he is resilient. He chooses to wake up each morning and do what he can to enjoy the day. He chooses to have a good attitude, despite the bad circumstances he was born into. He chooses to continue to learn and press on. We believe Oholiab is a smart boy, full of potential, with a very bright future. A future beyond his physical struggles. A future beyond his disease. We believe in Oholiab and ask, would you believe in him too? Would you give this boy his chance at life? Would you be willing to invest in this young man and his schooling? Oholiab is in need of a full sponsorship, which can be one donation of $90/mo or three donations of $30/mo. Please share this need with your friends and family and we can get Oholiab sponsored and into the program, receiving support, in no time at all! 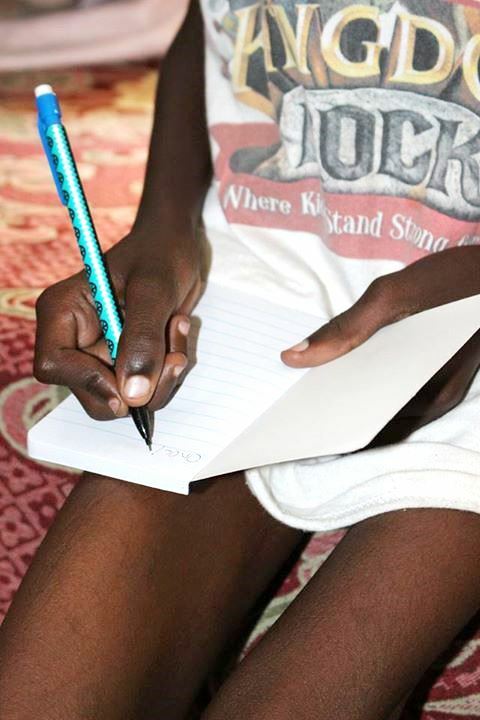 Please remember that we encourage people to connect with their sponsor child (letters, packages, financial gifts or even coming to visit them in Ethiopia) so you will have a personal relationship with Oholiab and his progress. May you be blessed this day! These are exciting days! We wanted to share with you just another way that your sponsorship makes a difference, for eternal reasons. Your donations go farther than just providing an education, clothes, and food but these kids are meeting the One they have longed for and were made to be in a real relationship with. Your sponsor kids, and kids not even in the BCI sponsorship program, are coming to Christ and accepting Him as their personal Lord and Savior. Hallelujah! On September 26, 2014, fifteen children at the BCI Academy who are enrolled in Spoken English Grade 2 prayed to ask Jesus to come live inside their hearts forever. It was an absolute gift to see and hear these kiddos clasp their hands to enter into a real relationship with the God of the Universe. This, friends, is why we are here. But the fun doesn’t stop there! The next week, eleven children in Grade 4 prayed to receive Jesus. After talking to them after they prayed and made the decision of their lifetime, we realized some of the kids were very new to Christianity and may need to be talked with even more. And we are excited to do this! We look forward to speaking with each child and encouraging them in their relationship with Christ. So, how did all of this happen? The Holy Spirit does His work and I brought a book that I found at Half Price Books called The Prayer that Makes God Smile (ironically written as a free gift by Stormie Omartian). I read this book to these kids as a part of their classroom activity and they responded to the Holy Ghost’s prompting. It was so beautiful to watch happen and get to be a part of. Thanks for giving so that these kids could hear from Jesus clearly, running to Him and making it! 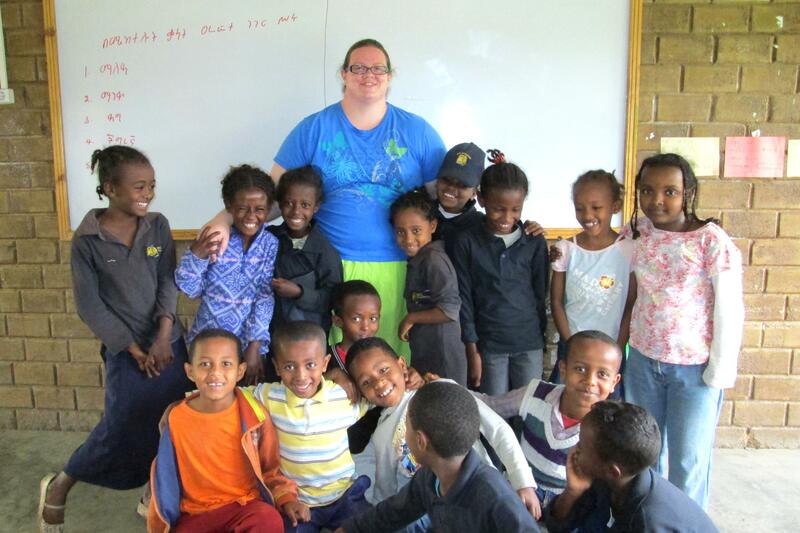 Blessing the Children offers more than the average sponsorship program. We support our sponsored children in ways that other programs don’t. 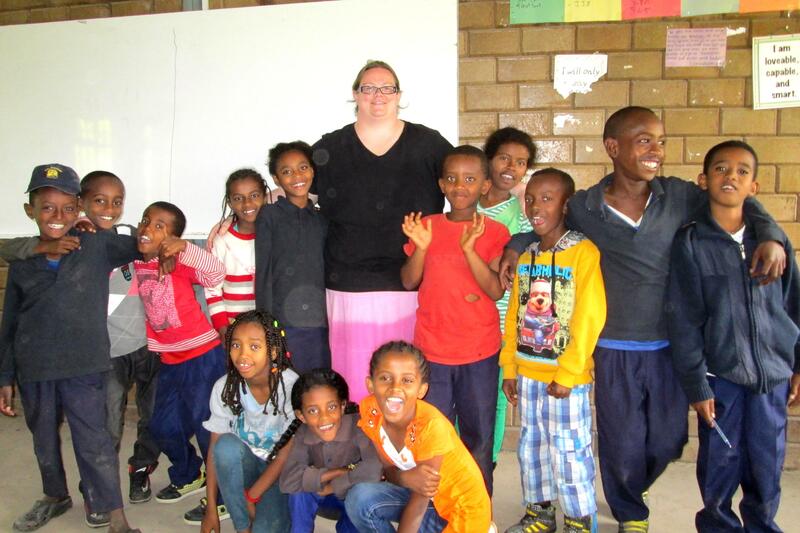 In addition to sponsorship funds used for grain and family support, Blessing the Children sends extra funds to Ethiopia every month to provide added benefit for the children. A few ways we are going above and beyond for our kids is to provide them with extra nutrition through a jar of peanut butter every month, in addition to holding feeding programs during activity days, a hot lunch program at the BCI Academy and other outreaches that are on top of their sponsorship benefits of grain and family support. We also send funds each month to provide the children with transportation to church, school and outreaches. Some children live miles away and would have to walk if free transportation was not available for them. For most children, this is a major cause of them not attending so the transportation funds are the only thing enabling them to make it to church, school and outreach programs. Over these summer months, giving has been down and in order to continue to provide this additional support to the children, we’ve had to use our reserves. Donations have started to pick back up for the fall but we are short this month to send the extra money for these programs. with extra blessings this month is $1,823. Would you make a donation to help a child attend school and church, or maybe you’re able to provide peanut butter? 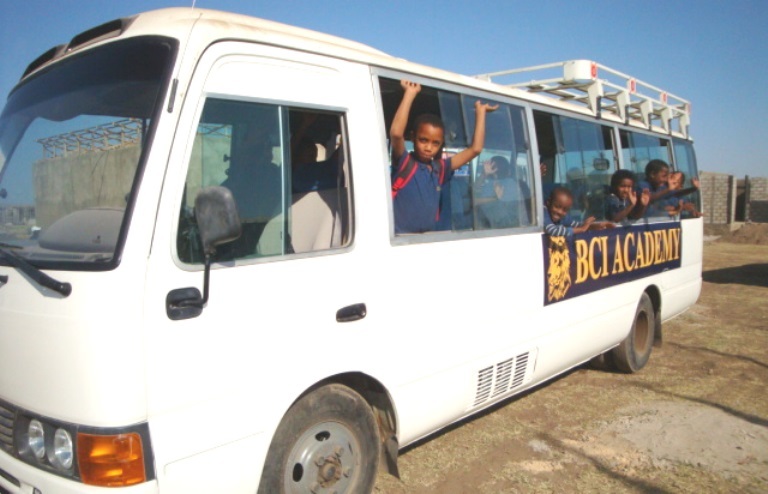 Perhaps you’d like to cover a month of hot lunch for a child at the BCI Academy? There are many needs and your support is essential to continue providing this support for the children this month. As a parent wants to provide for and bless their children in every way possible, it is our desire to give our sponsor children as much as we possibly can. Please consider making a donation to help us give these precious children a physical, spiritual, mental and emotional advantage! If you are unable to donate personally, is there someone you can share this need with?